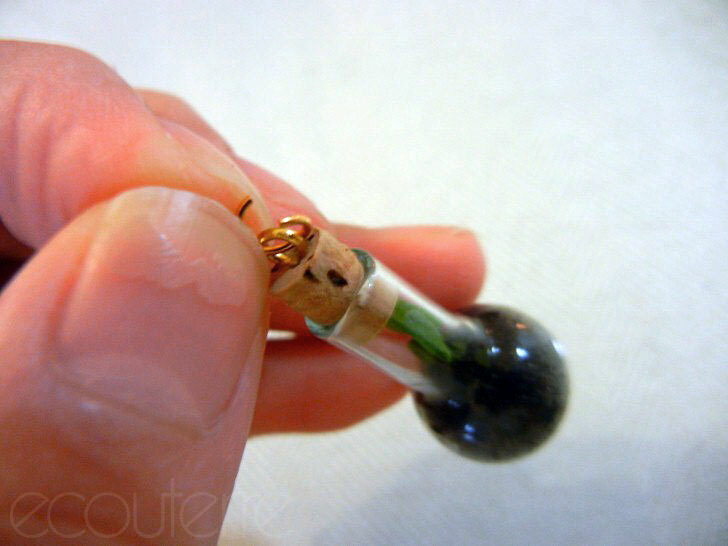 <p /> <a href="https://inhabitat.com/diy-how-to-make-your-own-green-terrarium-to-keep-or-give-away-for-the-holidays/">Terrariums</a>, worlds unto themselves, are so enchanting that it's a shame to keep them hidden at home all day. 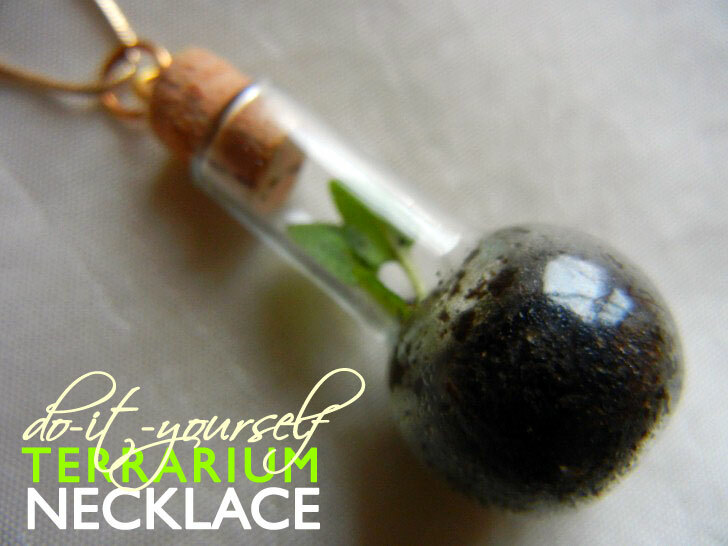 Show your green thumb off to the world with a <a href="http://clossette.com/diy-how-to-make-a-terrarium-necklace/">self-contained indoor garden</a> you can bottle up and string on a necklace. 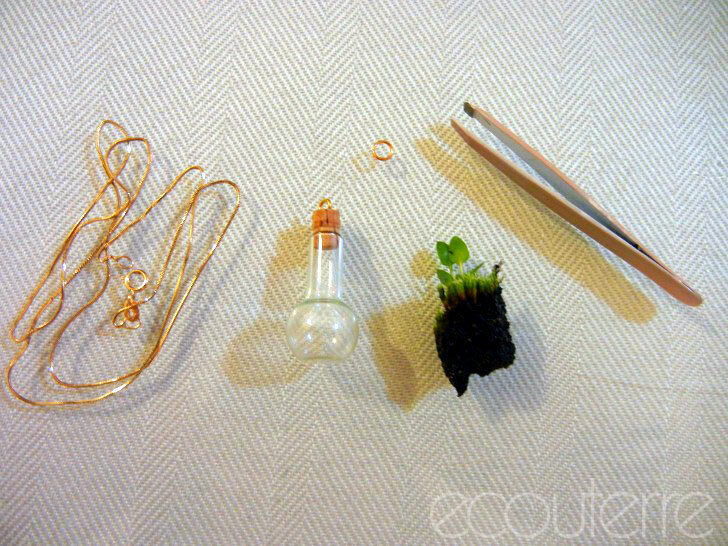 No previous DIY expertise necessary: Follow our easy step-by-step instructions to make a miniature greenhouse for yourself or one lucky person on your holiday list. 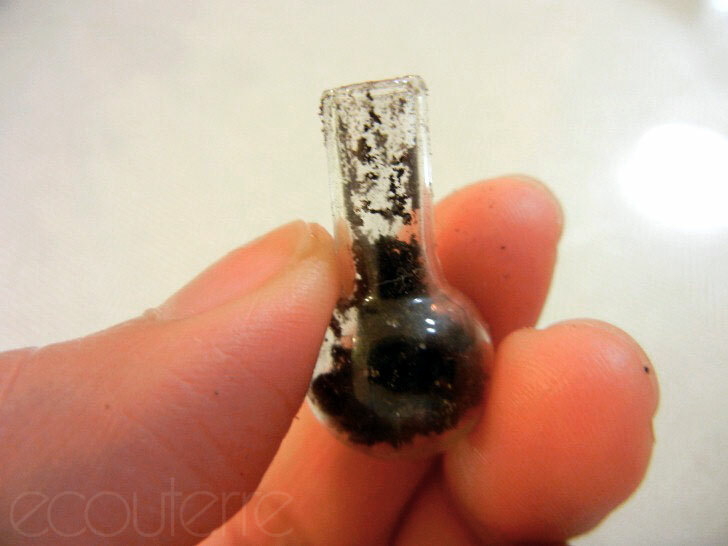 <h3>STEP ONE</h3> Pop the cork top off your glass bottle and place a small amount of dirt inside. You should have enough to surround the roots of your plant but not so much that it won't have room to breathe. 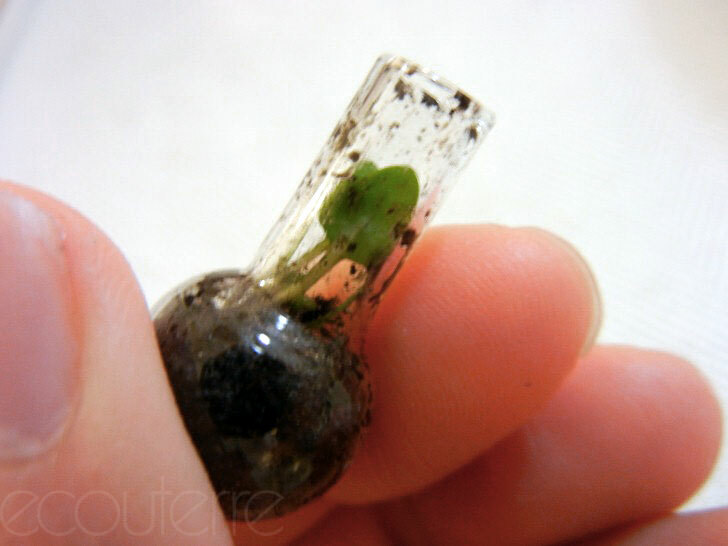 <h3>STEP TWO</h3> Carefully insert your seedling into the bottle, with tweezers if necessary. To remove dirt smears, use a chopstick or toothpick wrapped with some tissue paper. <h3>STEP THREE</h3> Replace the stopper and attach a jump ring to the eye loop on top. 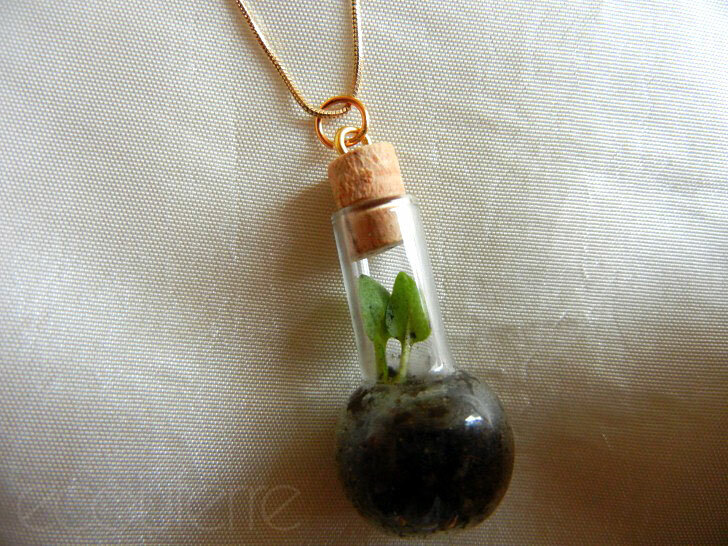 <h3>STEP FOUR</h3> Thread your bottle charm onto your chain. 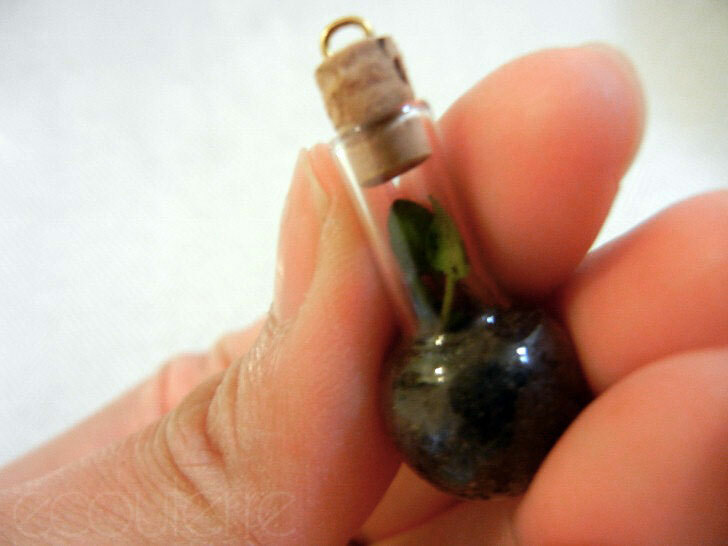 <h3>STEP FIVE</h3> Sprinkle your plant with a little water once a week to keep your plant green and healthy.